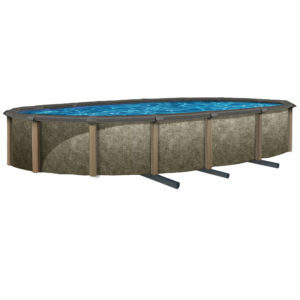 Style and quality merge together in this beautiful 54″ deep steel-wall pool. A true-round resin top rail in rich chocolate hues creates a sophisticated, up-scale look guaranteed to impress the neighbors. This unique top rail is also impervious to water and chemical damage. Potent U.V. inhibitors imbedded in the resin provide additional protection, insuring decades of family fun. 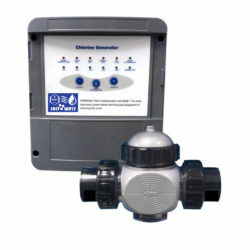 Resin bottom rails, stabilizers, and bottom and top plates protect the pool from harsh salts used in modern chlorine generators. 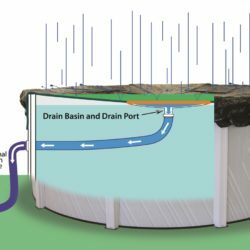 Advanced steel wall coating techniques will virtually eliminate corrosion. 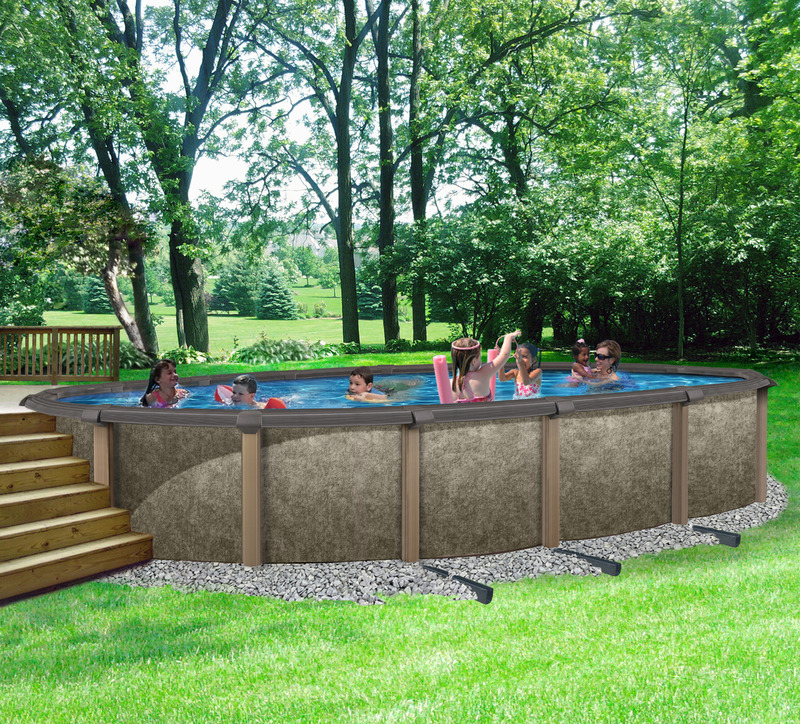 The pool wall is protected by a patented PlastiGuard™ coating process that ensures that your outer pool wall will never rust. 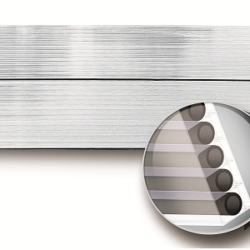 The patented bottom rail construction is specially dipped in a mineral coating to combat the elements and never corrode. Steel is the strongest material used in above-ground construction. 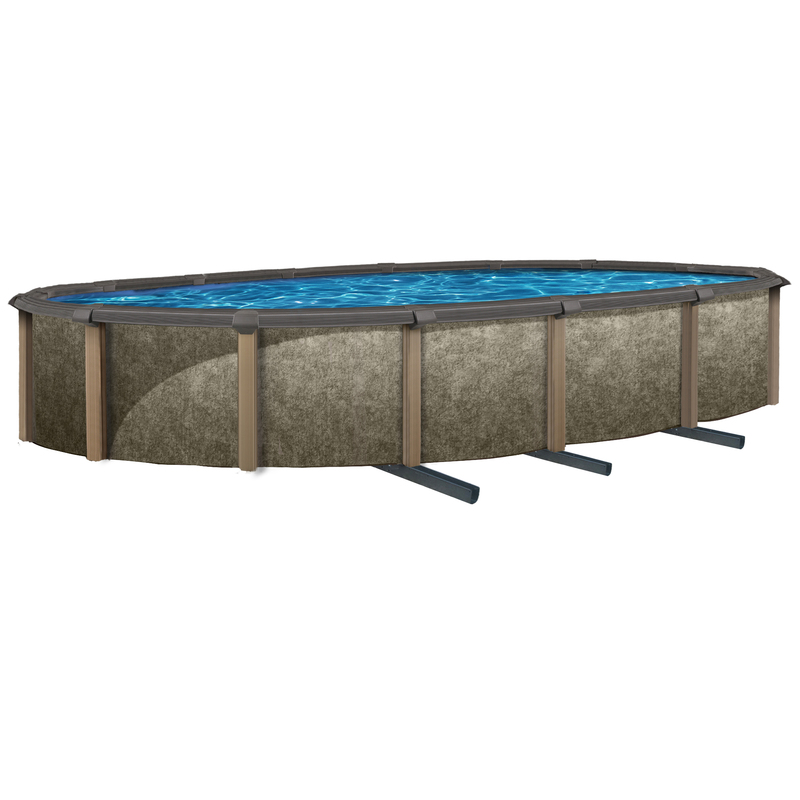 The Riviera uses extra thick gauge steel in its 6″ wide uprights and wall to make this pool rugged and durable. The beautiful non-corroding top rail is injection molded for super strength. All of these exceptional features are produced with expert craftsmanship resulting in a pool that is not only super strong, but fits together seamlessly with an excellent fit and finish to enhance the overall elegance of your backyard. Invest in Riviera this season and get in on great family fun with a great new look for your backyard play area. A free DVD and manual are also included to make installing the pool easy. Available in a variety of round and oval sizes to fit your backyard.